Released on a day before Republic Day 2019 of India, the movie has collected Rs 47.65 cr in four days of business. On Friday, Saturday, and Sunday, it earned Rs 8.75 cr, Rs 18.10 cr, and Rs 15.70 cr respectively. The trade analysts are expected it to cross the mark of Rs 60 cr in the first week at the box office. Manikarnika has been faring well in the North India circuits. It faced a huge drop of around 42% on Monday compared to Friday. It was released on the same day as Thackeray starring Nawazuddin Siddiqui in the lead role. Thackeray’s biopic has collected Rs 26 cr in the first four days of release. Both the films have witnessed a healthy 1st weekend. Hindi version is doing good for Manikarnika while Marathi version is doing good for Thackeray. Made on a whopping budget of Rs 100-120 cr, the film is faring well in both Indian and overseas markets. By the end of Sunday, it has earned $1.55 million (Rs 11.03 cr) approx. from the international box office. 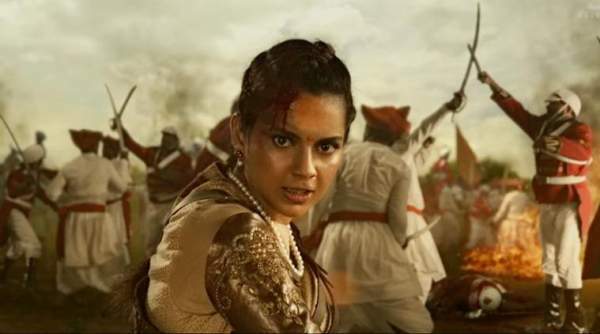 Before its release, Manikarnika has went through a lot of controversies. Speaking of its 5th day collection, the film has got a slow start on its first Tuesday. The morning occupancy was registered to be around 14% whereas it was 16% on Monday (yesterday). Based on its huge budget, the flick needs a good trending for 2 weeks, at least. As the day progresses, the footfalls for the film will increase. Manikarnika’s collection will go past Rs 50 cr mark today (fifth day). The figure is a good achievement for any film. But, this movie needs more than that. Anything below Rs 100 cr in its entire lifetime run will simply mean that it has failed to recover the invested amount. Based on the trend, Manikarnika should collect somewhere around Rs 5 cr on Tuesday. The exact numbers will be updated in the morning.